The York Excel 310 Rowing Machine isn’t the cheapest nor the most expensive rowing machine in the market. But one thing’s for sure, it’s reasonable for its price, and it offers unbeatable value for your money. This equipment is suitable for all fitness levels, so if you’re a beginner, you don’t have to purchase an entry-level product then upgrade eventually. Not to mention that it’s manufactured by York Fitness, one of the most relied brands in the world when it comes to exercise machines and accessories. If you want to know why I think this rowing machine makes an excellent addition to your home gym, then keep on reading. As mentioned, York Fitness is known for its reliable fitness equipment, so I wasn’t surprised with the quality of this model. The York Excel 310 Rowing Machine mostly consists of lightweight aluminium, and it only weighs 36kg. But even though it’s lighter than other rowing machines, it can still hold users with a weight of up to 120kg. 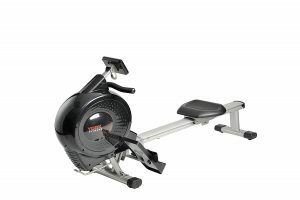 This rowing machine also features a Kevlar belt drive mechanism which ensures a smooth ride throughout your session. Comfortability is one of the things that a lot of people look for in fitness machines. Luckily, the York Excel 310 Rowing Machine has a large padded seat and wide pedals that ensures an even more satisfying workout. It has an aluminium track with a length of 113cm that can also accommodate users with a height of more than 6ft. When it comes to resistance levels, you won’t be disappointed because it offers 16 of them. It is said that even those who are fit and advanced in rowing will find the higher levels challenging. These 16 levels of manual magnetic resistance will keep you motivated to work hard to be able to shift to the next level. Monitoring your progress is very important when exercising. 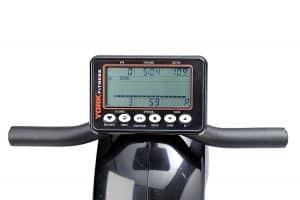 The York Excel 310 Rowing Machine has a 5.75-inch LCD display which allows you to see your information at any angle. This rowing machine also allows you to have varied workouts every time with its 12 pre-set programs. There’s a Race Mode with five levels of challenges, Target Heart Rate mode as well as User Programs wherein you can customise your settings. Setting up your home gym is an excellent idea, but sometimes you also have to enjoy your personal space. The York Excel 310 Rowing Machine may take up some space when it’s assembled, but it’s relatively simple to keep move in the storage area. Its lightweight aluminium rail is foldable, and it has built-in transport wheels which makes it more convenient to move around the house. The only thing that’s not likeable about the York Excel 310 Rowing Machine is its pedals. Although it has a largely padded footrest, the foot straps apparently come off easily, so you have to put them back every time. However, you can purchase different straps if it hinders you from working out efficiently. Another downside with this rowing machine is that the console is mains powered which means you have to place it somewhere near the outlet. The Hammer COBRA XT Folding Rowing Machine is manufactured by a brand that already has 100 years of experience in sports. It’s TUV certified to German quality standards so you should be confident that it will last a long time. 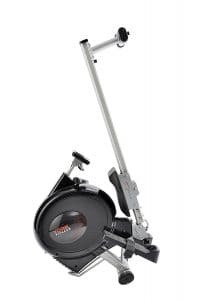 The rowing machine has a 5kg magnetic resistance flywheel which ten levels of magnetic resistance and some customers say that even on its lowest level it can already be challenging. Aside from that, it also has adjustable footrests that can accommodate a wide range of shoe sizes, and its ergonomic handles can bend up to 10 degrees. 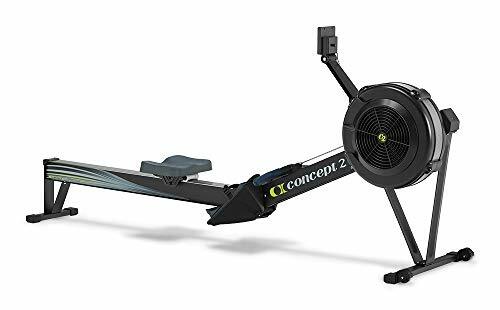 The Concept2 Model D Indoor Rower is more of a high-end model, but it’s considered as a top-range item when it comes to rowing machines. This product is made in the USA, and Concept2 claim that it would last a lifetime. Just like me, you wouldn’t doubt it’s stability once you hear that it can carry a maximum user weight of 227kg – far from what other rowing machines can hold. 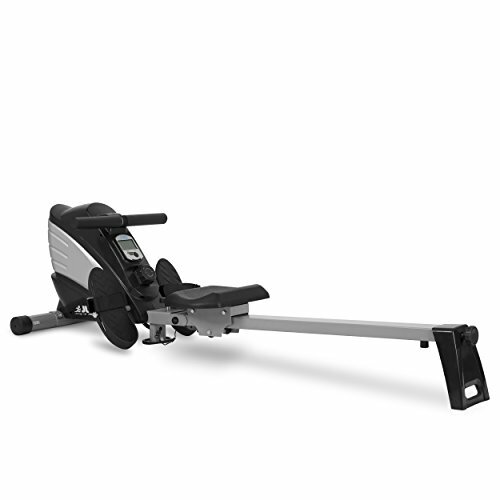 This indoor rower also stands out because it uses air resistance as opposed to others that use magnetic resistance. The air resistance will naturally make your workout more intense, and it depends on how fast you row. 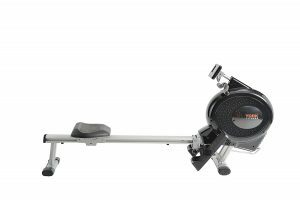 If you’re on a tight budget, but you want to get a good rowing machine, the Viavito Sumi Folding Rowing Machine might be the one you need. It’s currently as Amazon bestseller because it gives an excellent value at a budget-friendly price range. It has a 7kg flywheel with ten levels of friction-free and silent magnetic resistance. This rowing machine has a 76 cm row length which is suitable for users with up to 110cm leg length. It has a killer design, and it can be easily stored, as it’s foldable and has wheels. Another rowing machine that won’t cost a lot of your hard-earned money is the JLL R200 Rowing Machine. It’s a sturdy piece of equipment which has a maximum user weight of 100kg. 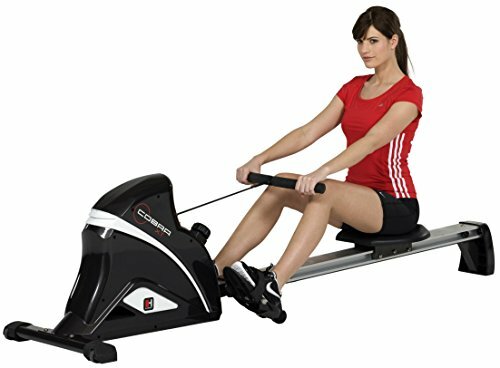 This rowing machine offers ten different levels of resistance, and it’s direct belt driven which ensures a quiet and smooth workout. Even at a budget-friendly price, the quality of this equipment surely wasn’t compromised. A lot of customers highly recommend this product and say that’s it’s a bargain for its price. 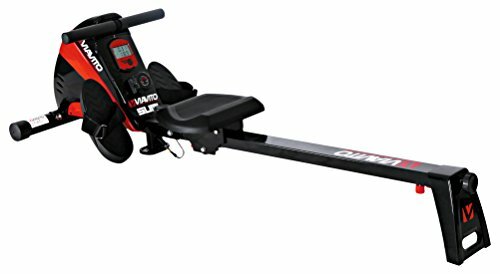 JLL R200 Rowing Machine Detailed Review? CLICK HERE. For a mid-range priced rowing machine, I must say that the York Excel 310 Rowing Machine isn’t the best, but it can constantly challenge you to become better. 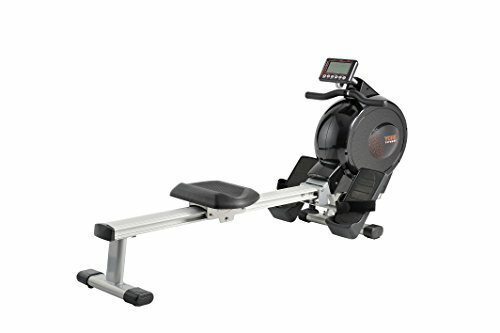 It has 16 levels of resistance which is rarely found on models within its price range, and it has a larger LCD console as compared to other rowing machines.